has been operating in the polish market since 1998. as Poland’s leading independent film distributor, Monolith co-operates with all major producers whose movies are distributed in the USA by the most reputed film studios, such as 20th Century Fox, Sony Pictures, Metro-Goldwyn-Mayer, Warner Bros and Buena Vista. Monolith has distributed such blockbusters as: “Runaway Bride”,”American Pie”, “What Women Want”, “Hannibal”, “The Passion of the Christ”,”Alexander”, “Mr & Mrs Smith”, “Apocalypto”, “Step up” and “Step Up 2 The Streets”. 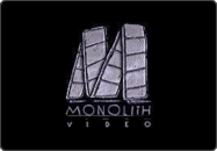 Monolith’s wide range of titles include acclaimed multiple award winners: “Babel”, “Crash”, “Brokeback Mountain”, “The Lives Of Others”, “Counterfeiters”, “Cache” and “Monster”. Apart from its substantial library of foreign movies, Monolith takes an active part in the production of Polish films, co-financing, producing, and distributing local hits: „Sezon Na Leszcza”, „Zakochani”, „JOB”, „Jeszcze Raz”, „Generał Nil”, „Serce na dłoni”, „Koń Trojański”, „Galerianki”. subsidiary companies providing services in terms of creating DVD and Blu-ray markets as well as new technologies: VOD and Internet. Monolith Video sp. z o.o. (since 1999) distributes and sells DVDs, VCDs, Blu-rays in the domestic and foreign markets. Cineman Sp. z o.o. (since 2006) – company provides video on demand services for the polish leading VOD platforms. Since 2007 Cineman has been running its own Internet Cinema www.cineman.pl using streaming technology. Cineman has a library of over 700 feature movies with almost 200 top titles available in HD quality. Every month approx. 10 new films are added to the library.